Ever since the Colonial Era, America had welcomed German immigrants and regarded them highly. 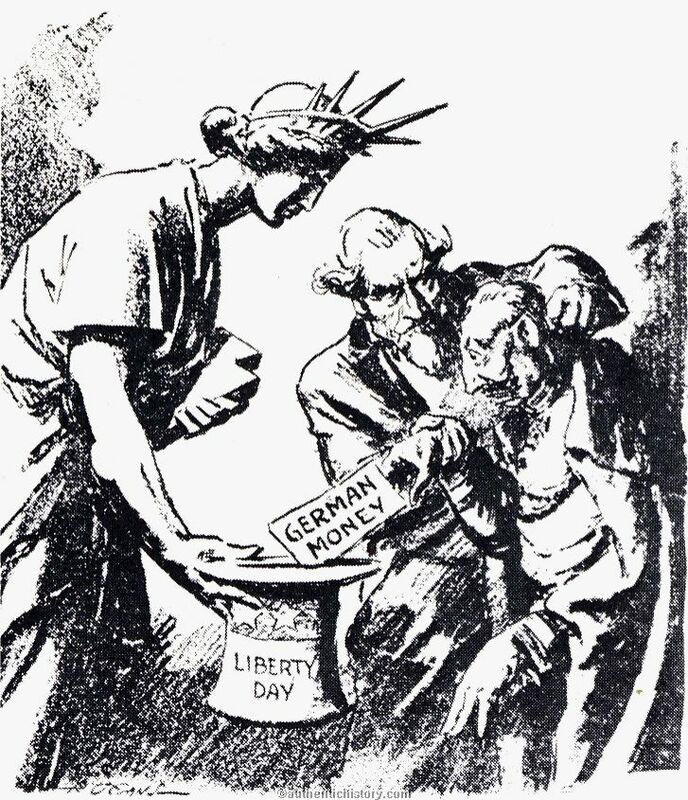 Yet when war broke out with Germany in 1917, a wave of anti-German hysteria, fueled by propaganda-infused superpatriotism, resulted in open hostility toward all things German and the persecution of German-Americans. Germans had always been the largest non-English-speaking immigrant group in America. In the Colonial Era, the first great wave came and settled in Pennsylvania, New York, and Maryland. A second large wave of German immigration started around 1830 and climaxed around 1854. By 1875, Germany had become a wheat importing country. German farmers became superfluous and immigrated to the U.S. , and German craftsmen, artisans, and shopkeepers whose livelihood depended on them followed. From 1881-1892, approximately 1,700,000 Germans arrived in America. Some had fled to avoid compulsory military service in Germany, now forged into a new nation by Otto von Bismarck. By the outbreak of WWI, a majority of these German immigrants prospered in America. They farmed in the Midwest, but also became urban workers. Despite American stereotypes of German-Americans, they were actually very diverse. Some Germans assimilated quickly. Others, like German Catholics and Lutherans, believed that the preservation of their faith depended on maintaining German language and culture. They also believed that German culture could be infused to American culture and improve it. To that end, the churches operated their own schools, and German-American communities published newspapers in German. 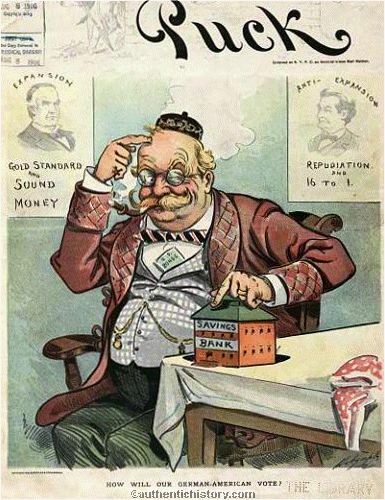 Puck magazine cover from the 1900 election asking, "How Will Our German-American Vote?" Some of these newspapers did react to a growing sense of Anglo-Saxonism in the United States (the attitude, among English-descended Americans, that their culture was superior to all others) by promoting German nationalism. They were especially proud of German literature, music (Bach, Beethoven, and Mozart), and Germany philosophy. 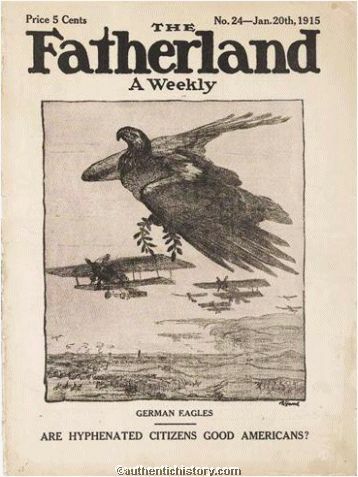 But this sense of cultural pride about the Fatherland and their desire to maintain German language and culture in America had nothing whatever to do with the political goals of Kaiser Wilhelm. German American Lutherans were outright hostile toward the Kaiser. The vast majority of German-Americans wanted very much for America to remain neutral toward Germany, but their political allegiance belonged to the United States. heritage, could openly promote their English heritage and American birthright. Anglo-Saxons had their own definition of what was “American”, and anything that did not conform was an undesirable deviation, perhaps even dangerous. And they were having trouble understanding why German-Americans would not willingly give up their German culture. After all, had they not deserted Germany for a better land? To them, German-Americans were naturally clannish and arrogant. Especially troublesome were the numerous German-American festivals; where dancing and beer-drinking was commonplace, even on the Sabbath. 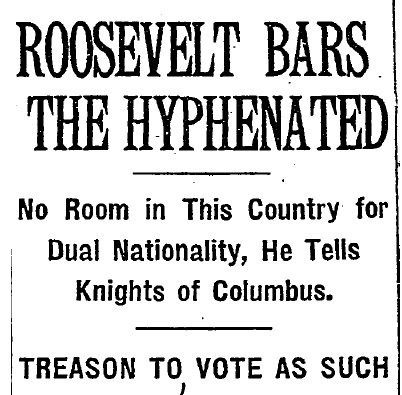 Native-born Americans invented a term to describe this deviation—“hyphenism.” Whereas the term “German-American” (or “Irish-American”) had for decades referred simply to specific ethnic identities in American society, under Anglo-Saxon nativism they became insults, implying that these ethnic groups were not “100% Americans”. The implication was that if you were a hyphenated American, you were not a true American. 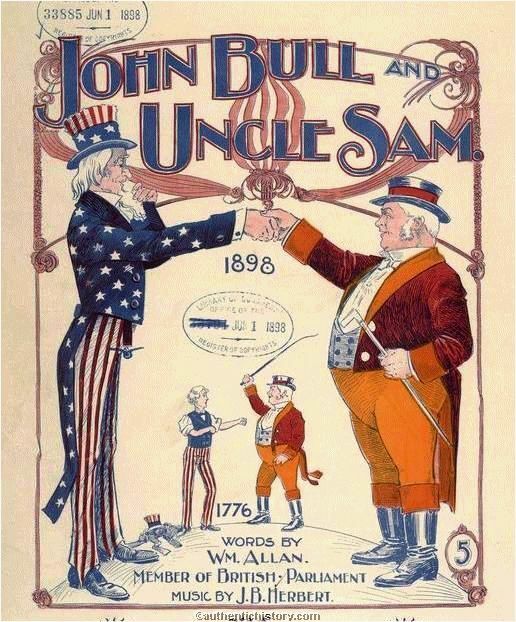 In keeping with the pseudo-science of the times, nativists even came to believe that these social characteristics were hereditary—passed down through genetics. 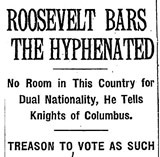 New York Times headline following Theodore Roosevelt's famous 1915 speech against "hyphenated Americans"
Concurrent with this change in the definition of “Americanism” was a change in the relationship between America and Germany. 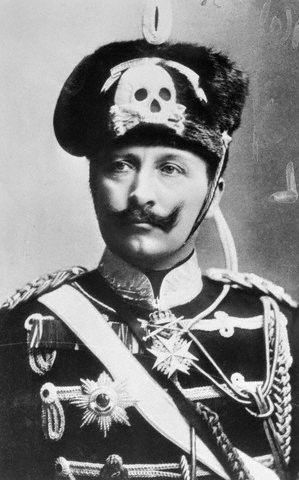 In 1890 the young Kaiser Wilhelm II embarked on an aggressive foreign policy. American and German interests clashed in the Pacific, and in Venezuela. 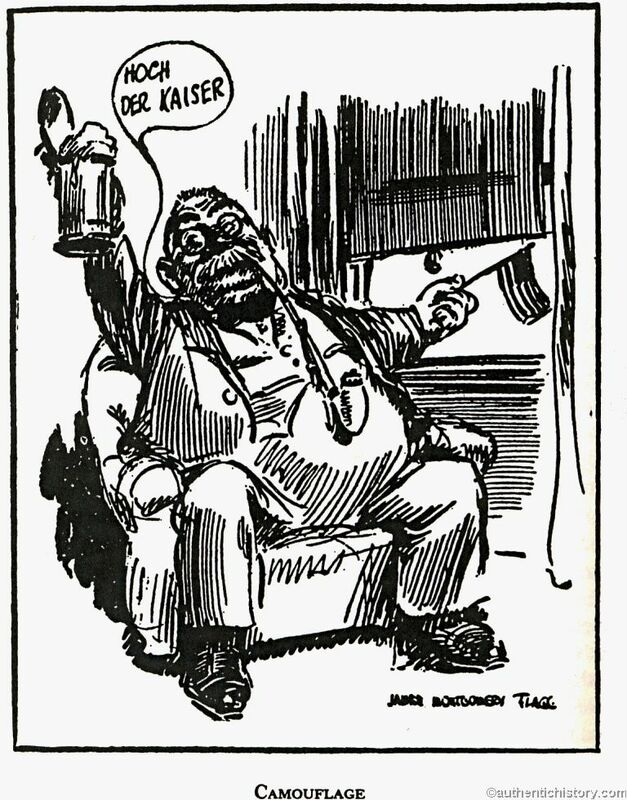 For many Americans the Kaiser became a symbol of German imperialism and dangerous militarism, and he was severely caricatured in political cartoons. 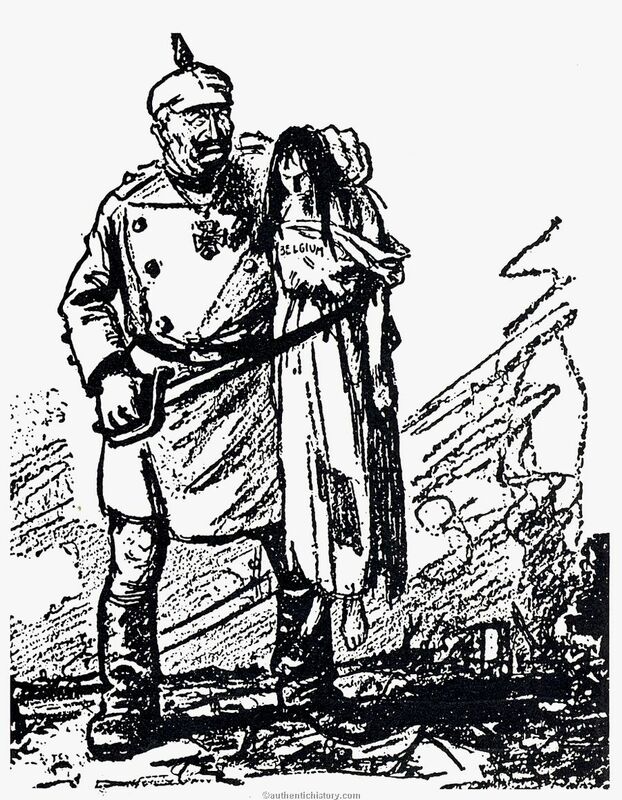 American perceptions of Germany became even worse in the years immediately preceding the outbreak of hostilities in 1914. 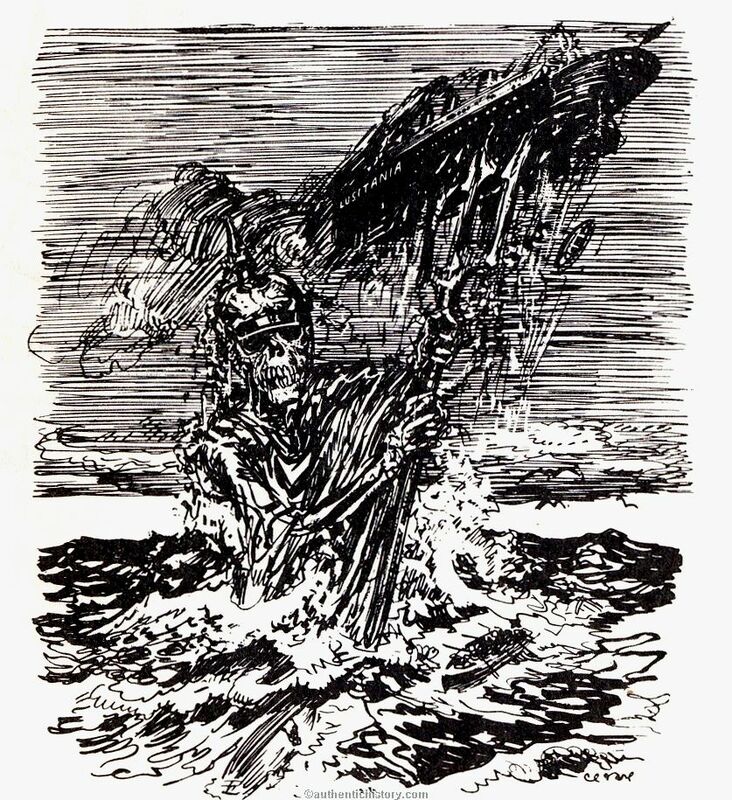 Then, during the early years of the war, America found it difficult to remain neutral because of German atrocities in Belgium, the sinking of the passenger ship Lusitania, and German reliance on the submarine to curb Allied shipping. With American imports to Germany drastically curbed by the British blockade, a decidedly anti-German attitude prevailed. persecutors of allegedly disloyal German-American citizens. 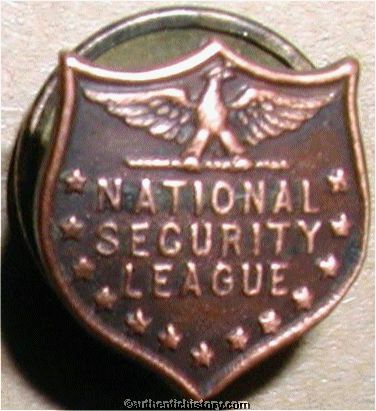 The most powerful of these independent superpatriotic organizations was the National Security League. According to the League, if you did not support the country’s stated war goals, you were not loyal. Determination of a person’s loyalty was made by observance of superficial demonstrations of patriotism. German-Americans were asked to gather in public meetings to adopt declarations against Imperial Germany. They were expected to buy war bonds, to sing the national anthem, and to declare their allegiance to the flag. And they were to do it enthusiastically. As the Minnesota Commission of Public Safety put it, “the test of loyalty in war times is whether a man is wholeheartedly for the war and subordinates everything else to its successful prosecution.” This black and white interpretation of loyalty left no room for diverging viewpoints—people against war on principle, or on religious grounds, people who questioned the justice of the war and the Wilson Administration’s goals (including socialists, who tended to believe the war was really about Wall Street profits). Quakers and Mennonites, whose religious views prohibited any action which supported war, were left no room to dissent. Even remaining silent was equated with giving aid and comfort to the enemy. 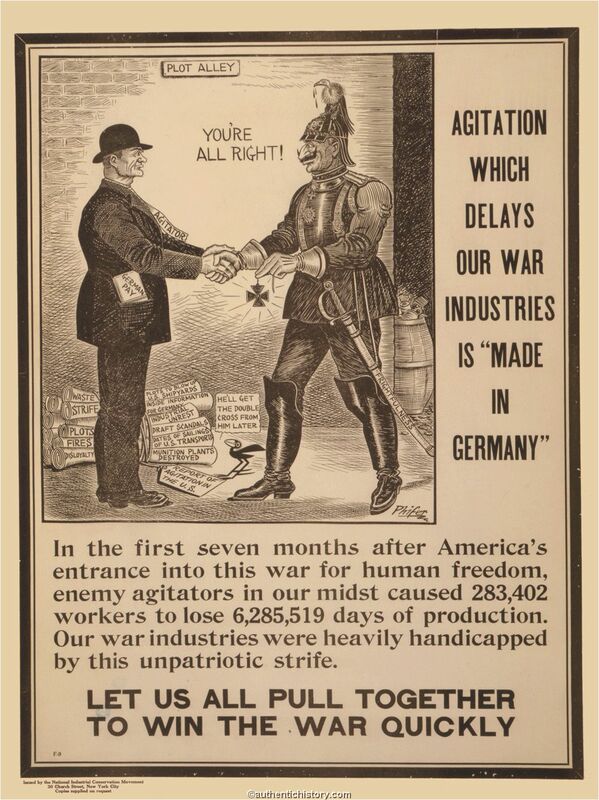 As the propaganda machine was cranked up, public rhetoric soon took on a distinctly anti-German-American tone. Literature began to directly attack German-American churches, schools, societies, and newspapers as agents of Imperial German conspiracy. Soon there were calls to throw out the German language and “all disloyal teachers.” One publication read, “Any language which produces a people of ruthless conquestadors such as now exists in Germany, is not a fit language to teach clean and pure American boys and girls.” The American Defense Society, an off-shoot of the National Security League, encouraged the public burning of German-language books and campaigned to change the names of cities, streets, parks, and schools in America to the names of Belgian and French communities destroyed in the war. Germantown, Nebraska, became Garland after a local soldier who died in the war. East Germantown, Indiana, was changed to Pershing; Berlin, Iowa, became Lincoln. Berlin, Michigan, became Marne (after the Second Battle of the Marne). 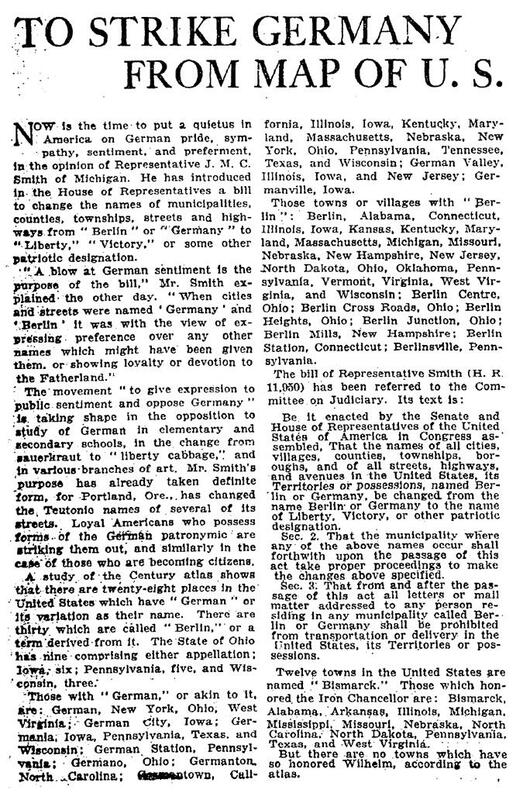 In June 1918, a Michigan congressman introduced a bill that would have required such name changes nationwide. Superpatriotism soon reached ridiculous levels. The names of German food were purged from restaurant menus; sauerkraut became liberty cabbage, hamburger became liberty steak. Even German measles was renamed liberty measles by a Massachusetts physician. Superpatriots felt the need to protect the American public from contamination via disloyal music by pushing to eliminate classic German composers such as Beethoven, Bach, and Mozart from the programs of community orchestras. Some states banned the teaching of the German language in private and public schools alike. In July 1918, South Dakota prohibited the use of German over the telephone, and in public assemblies of three or more persons. anything printed about the government. Any newspaper that was operating on a tight budget was effectively killed off. Those that continued to print were continually harassed. Trainmen threw off bundles of German-language newspapers at the wrong stations; Boy Scouts burned stolen bundles; and school teachers discouraged students from delivering “disloyal” newspapers. 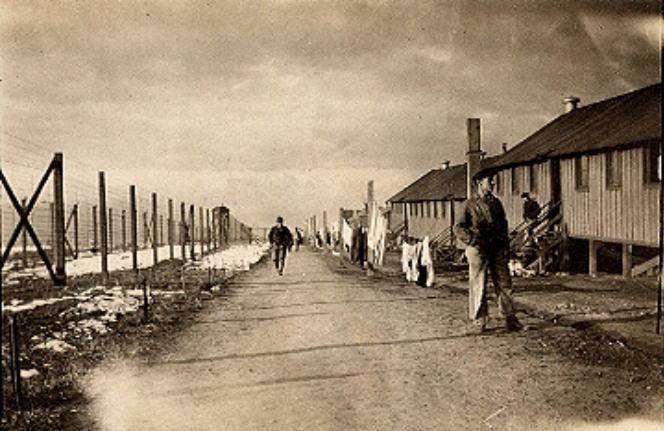 Several thousand German-Americans were interned in concentration camps when their minor infractions were exaggerated into major offenses. By the fall of 1917, German spy hysteria had spread from the superpatrioits to affect the entire country. The editor of a Providence, Rhode Island newspaper regularly warned that all German and Austrian-born Americans should be considered spies unless proved otherwise. Newspapers screamed headlines that Red Cross bandages had been sabotaged with chemicals and broken glass. German submarines supposedly landed spies who could be seen at night flashing signals back out to sea. Mysterious aircraft were reported violating American airspace. The omnipresent spies were allegedly poisoning water supplies, sabotaging the production of guns and ammunition, and even infecting whole communities with diarrhea-inducing germs. Hundreds of such reports were made to the justice department, and yet during the entire war, not a single genuine German spy was arrested, tried, and convicted. The failure to find any spies, rather than easing the tension, only served to heighten it. Thousands of Americans wrote to the government complaining that the Wilson Administration had been derelict in its duty to apprehend German-American spies. Harassment of German-Americans became commonplace. Employers would receive telephone calls asking if they still had “that German spy” on the payroll. Persons reading German-language newspapers on public trains were verbally insulted and spat on. 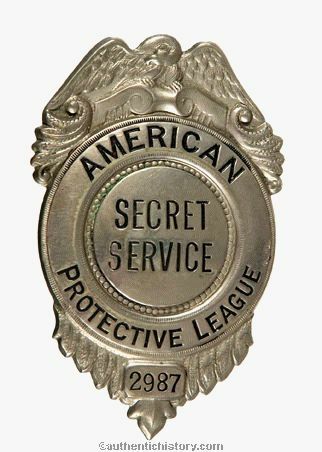 Just having a German name was cause enough for the American Protective League to launch an investigation into a person’s private affairs. When one German-American, having grown tired of the constant Liberty Loan drives, dismissed a salesman with “to Hell with Liberty bonds,” he was charged with disorderly conduct and fined. When a northern German-American vacationing in Florida was caught unprepared for a cold snap and exclaimed, “damn such a country as this,” he was arrested for having violated the Espionage Act. Of all the German-Americans, none was persecuted as much as were the Mennonites. For centuries they had believed that warfare was contrary to God’s commandant to not kill. Ironically, many had immigrated to the United States in order to escape compulsory service in European armies, and to be free to practice their religion under the Constitutional protection of the First Amendment. Not surprisingly, they believed that the Selective Service Act was a deviation from historic American values. Drafted nevertheless, they were continually harassed, beaten, and even tortured. 130 Mennonites who refused the draft were court-martialed and sentenced to 10-30 years at Leavenworth. Four of them were placed in solitary confinement at Alcatraz, were denied adequate food and drink, and required to stand all day with their arms chained to bars above their heads. Forced to sleep on cold, damp stone floors, two of them died from pneumonia. Not surprisingly, acts of violence increased dramatically during the winter months and reached a climax in the spring of 1918. 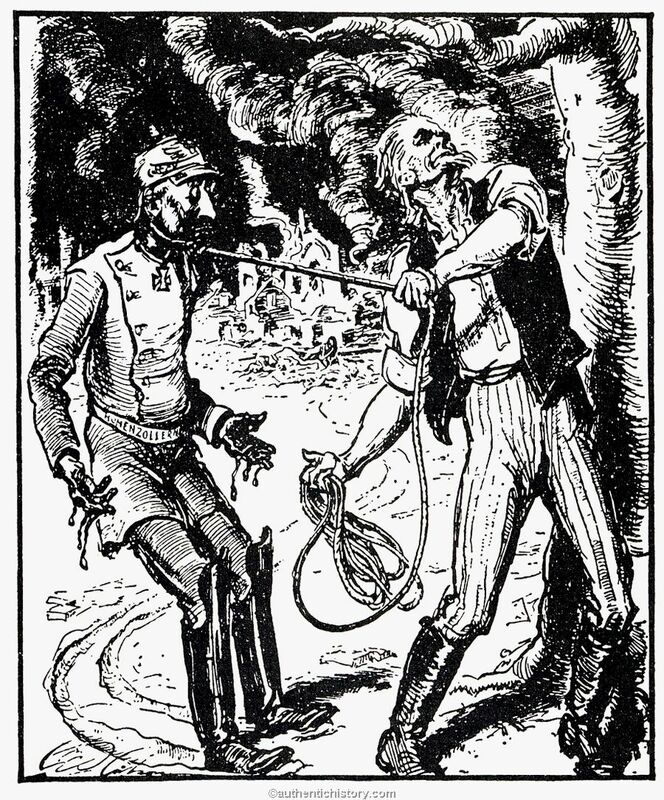 In Pensacola Florida, a German-American was severely flogged by a citizens group. He was forced to shout, “To hell with the Kaiser,” and then ordered to leave the state. In Avoca, Pennsylvania, an Austrian-American was accused of criticizing the Red Cross. A group of superpatriots tied him up, hoisted him thirty feet in the air, and blasted him with water from a fire hose for a full hour. In Oakland, California, a German-American tailor was nearly lynched by a local organization called the Knights of Liberty. In San Jose, a German American named George Koetzer was tarred and feathered, and then chained to a cannon in the local park. In Tulsa, Oklahoma, a German-American was tarred and feathered, lashed fifty times, and forced to leave the city. Several Lutheran pastors were whipped for having delivered sermons in German. 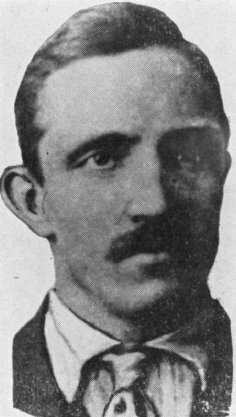 In Jefferson City, Missouri, a German-American named Fritz Monat was seized by a vigilante mob, stripped, beaten, and taken to the local movie theater, where the show in progress was interrupted in other for the audience to watch as Monat was forced to kneel and kiss the flag amid rousing rhetoric against disloyalists. In dozens of communities mobs disguised as patriotic organizations invaded homes and dragged suspects from their beds in order to interrogate, threaten, beat, and sometimes deport them. German spy and told him to leave town. Several union leaders who were tasked with determining whether or not Prager should be allowed to join the union were concerned enough about Prager’s safety that they made various plans to have him taken into protective custody by the police. But Prager refused, and instead posted around town copies of a statement he had typed up, declaring his loyalty, but also attacking the union for denying him the opportunity to make a living. After reading his statement, a group of about seventy-five miners souped up their patriotism at a local tavern, and then went to find Prager and teach him a lesson. After Prager agreed to leave town, the crowd began to disperse. But some fun-loving members of the group felt that things had ended too abruptly, and they began to urge that Prager be forced to kiss the American flag. Someone produced one, and Prager complied. Then he was told to demonstrate his loyalty by coming with them. Terrified, Prager agreed. The German-American was then dragged into the street. He was stripped down to his underwear and draped in the American flag, and then forced, barefoot, to stumble through the streets of Collinsville. At the center of town, the mob demanded that he sing the national anthem. Prager didn’t know the words, but he willingly sang another patriotic tune. At this point, some level-headed citizen called the police, who then took Prager into protective custody. They closed down all the local bars in an effort to quell the mob spirit. Instead, the mob swelled, and went to the police station where they demanded to be admitted. The police hid Prager in the basement, told the mob that he was no longer there, and opened the door to allow an Army veteran named Joseph Riegel inside to confirm the claim. When they opened the door, however, the mob swarmed in. They found Prager and took him back outside, where the mob had now reached several hundred persons. The parade continued, and the mob stopped passing cars and forced Prager to kiss the flag and sing patriotic songs to their occupants. The police followed the mob at a distance, but did nothing to stop the procession. When the mob crossed the city line, the police simply stopped following. Someone suggested Prager be tarred and feathered, and the procession halted while a fruitless search was conducted for the necessary materials. When that failed, Prager was dragged to a tree, illuminated by the headlights of three automobiles. Someone made a noose out of a tow rope. Riegel, who had a lot of pull with the crowd because of his status as a veteran, did not have enough to hoist Pragel alone. “Come on fellows, we’re all in on this, let’s not have any slackers here,” he called out. As many as fifteen grabbed the rope as someone else in the crowd suggested that everyone else at least touch the rope. Prager was pulled into the air. When their amateur efforts failed to kill him, someone suggested Prager be allowed to say something if he wanted to. After being let to the ground Prager was granted permission to write a letter. He wrote a quick goodbye to his parents. He asked for and was granted permission to pray. After asking forgiveness for his sins and once again stating his loyalty, he walked unassisted back to the tree and the rope. 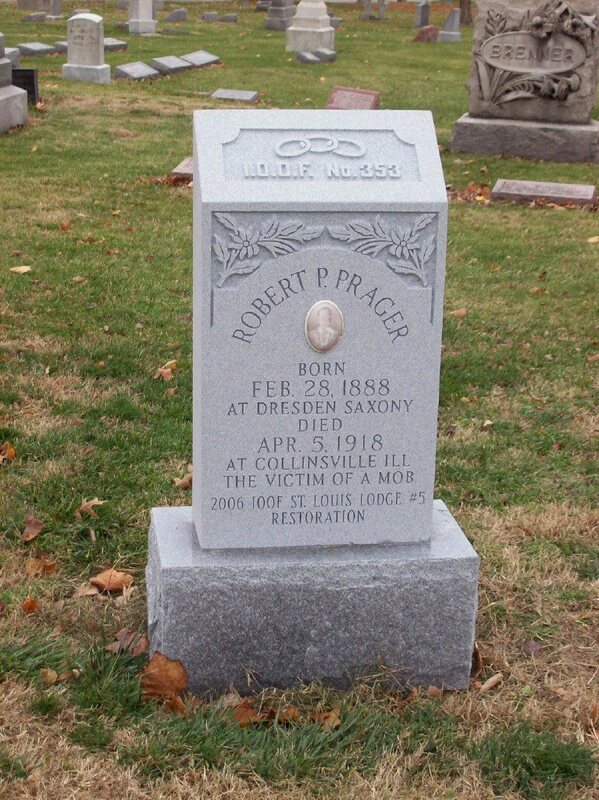 As the more than 200 persons looked on, Prager spoke his last words, “All right boys, go ahead and kill me, but wrap me in the flag when you bury me.” Prager was yanked back into the air and hanged. Although many in America denounced the lynching, local opinion in communities with large German-American populations defended the action. In their minds, the problem was that mobs were being forced to take action because Congress had failed to adequately punish disloyalty. The Espionage Act did not in fact cover casual “disloyal” utterances by individuals. Bowing to the ensuing pressure, the Attorney General asked for changes to the law. Congress responded by amending the Espionage Act via the Sedition Act, the most restrictive limitations on the rights of free speech and free press in the country’s history. The Sedition Act made it illegal to speak, print, write, or publish any "disloyal, profane, scurrilous, or abusive language" about the government, the constitution, the military, or the flag. It was illegal to use any such language which could be interpreted as intending to do the aforementioned. It was illegal to urge or incite any behavior which could hinder any function necessary or essential to the war effort, or to willfully advocate, teach, defend, or suggest the doing of any of these acts.